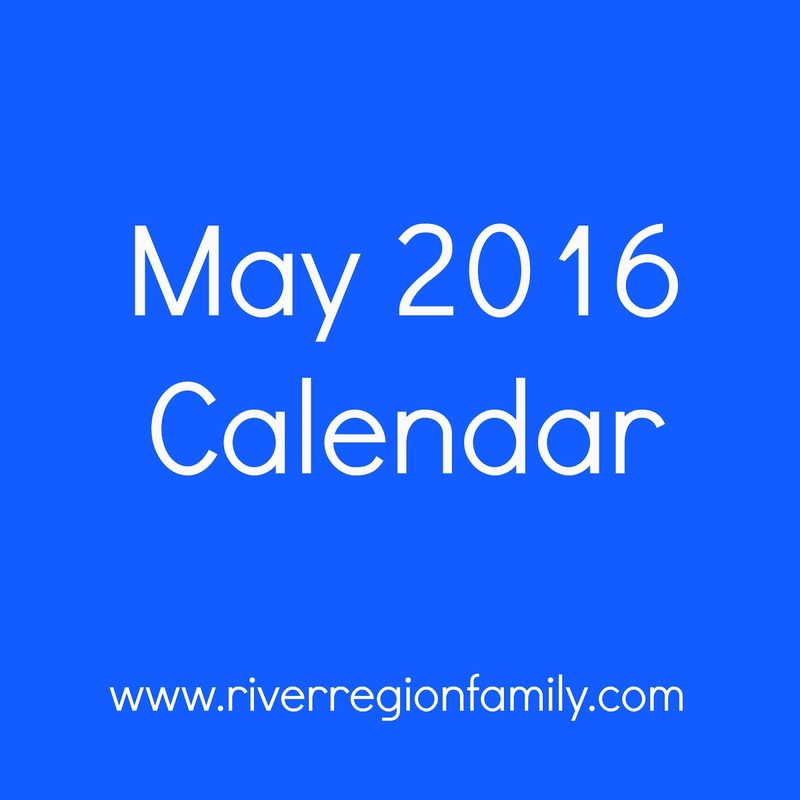 May is just jam-packed with good stuff! 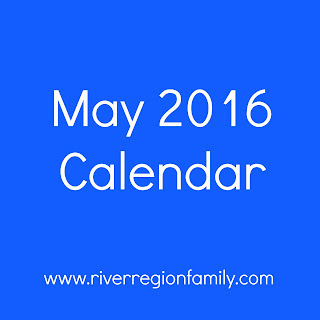 So much free music, several really good yard sales and so many other family-friendly events around the river region! City of Prattville. Open every day 8 am-8 pm. Free admission. All ages. Grab your lawn chairs & coolers and invite your friends - Join us every Sunday in May from 2-4pm for Live Music at The Waters' Town Square. Come in Tuesday for a free Original Chicken Sandwich for teachers. This includes public school, private school, and homeschool AS LONG AS YOU CAN PROVIDE DOCUMENTATION of your position (school ID, homeschool cover documentation).This offer is good at the Prattville, Alabama location. Offers will vary or may be unavailable at other locations. Find your participating store here. 8 am-3pm Herb Day Old Alabama Town FREEThis fun-filled public educational event for the entire family features children’s activities, programs with herbal experts on growing herbs, their medicinal uses, and a cooking demonstration using herbs. An open air market features vendors who sell crafts, books, food, herbal teas, garden wares and a huge selection of herbal plants. Build an Angry Birds Bird House. There will be live performances by the BTW students, hands-on art projects in the Museum studios, interactive demonstrations with Museum Store artists, a scavenger hunt, concessions, and amazing chalk art created by the public with festivities being kicked off by the ever popular Do-Dah Pet Parade. The event is FREE for all MMFA members, city personnel, active duty military, and their immediate families. Tickets can be purchased the day of the event and are $5 for adults and $3 for children. Fido Fest will include a wide array of vendors, doggy activities, great food from local food trucks, k9 splash zone and much more! The live music lineup will include Federal Expression, Blue Yonder, the Good Doctor, John Bull and Clinton Babers. There is something for the whole family, two legged and four legged alike! You don’t want to miss it. Tickets are $10 each and can be purchased on event brite. Bring your dog, kids, a chair and enjoy all of the fun at The Shoppes at EastChase! Build and Take home an exclusive mini LEGO Star Wars Millennium Falcon . Plus, get a free LEGO booklet that includes Star Wars stories and fun facts. You can also take part in a Clue Hunt-get a special poster when you find hidden clues in the LEGO department. Event intended for children, ages 6-up. Parental supervision required at all times. All giveaways and event materials available while supplies last and distributed to participating children only. Limit one per child. Quantities limited; no rain checks. Free event. Craft a card and bracelet for mom. Sunday 5/8/16 Happy Mother's Day! ADMISSION IS FREE! Bring your chairs or blankets (or both), coolers, snacks. Plan to sit under the beautiful oak trees in the park setting and enjoy the music. Each angler should bring hat, sunglasses, sunscreen, rod and reel, bait and stringer. Parents may wish to bring an ice chest for fish. Some loaner rods will be available. Prizes will be awarded in four age categories for shortest and longest fish. The initial limit is three (3) catfish per child. Pay at the gate. Admission $2 per person. $1 with Military ID. Children 5 & under get in free. Entertainment, Kids Area, Arts and Crafts and more. Come enjoy the HBDA Iron Chef Cook-off, live music, and fireworks. Fun for all ages. Admisson is $1 and benefits Hemophillia and Blood Disorders of Alabama. Kids 12 and under are free. Admission to the Museum will be free ALL DAY! In addition to the free admission, there will be a free quilting workshop with make and take art, storytelling, and music provided by the women of Gee's Bend, Alabama. The Museum is open from 9am-3pm and the programs will be from 11am-2pm. If you have any questions, please call 334.241.8701. Police cars, fire trucks, dump trucks, bucket trucks, racecars, and more will descend on Pratt Park where children of all ages will have a great time climbing on, exploring, and learning about a variety of vehicles and big equipment and talking to the equipment operators. From honking horns to revving engines, spraying hoses and gazing at the firetruck ladders climbing up above the tree tops, there will be something for every boy and girl to enjoy. Child ID Kits and visits from fire, police and sheriff departments. This outdoor concert takes place at the Alabama Archives and History Building Lawn in Downtown Montgomery, Alabama. This is a FREE event and family friendly! Picnic baskets, coolers, lawn chairs, and blankets are all welcome at this concert. The City of Prattville will hold its 4th annual "Retro Pool Day" on Memorial Day, Monday, May 30th at Pratt Pool. At this family, fun event, admission to the pool will be $1 per person and includes a hotdog and drink. Additional hot dogs and drinks will also be available for purchase (while quantities last).